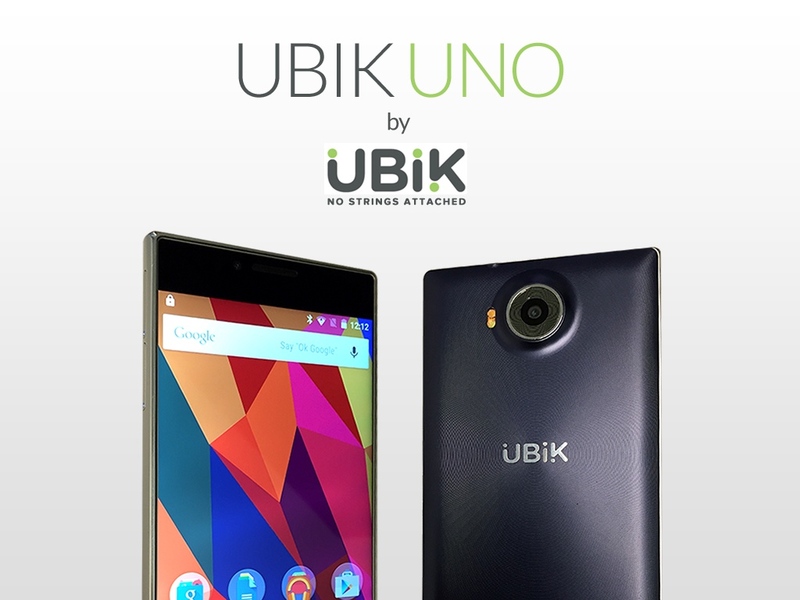 UBIK UNO New Smartphone Launched Features Specifications Price Release Date : Looks like even the fresher’s wants to make a big name like apple in the smart phone market which have significantly grew in last five six years. We are talking about Ubik Uno here which is a start up from Miami and have started their first venture with the same name. This smart phone is a blend of smart looks, sleek design and good specifications. Through this smart phone they are targeting the audience who wants every feature at a low price tag. It is going to be a bezel free handset with a metal frame which will give it a sleek and sober look. It sports 5.5” IPS display which claims screen resolution up to 1080p. It is powered by Octa core processor which would be clocked at the frequency of 2.2GHz. The processor will be coupled along with 3GB of internal RAM and is based on Mediatek MT6795 64 bit chipset. Coming to the OS, then it will operate on latest android 5.1.1 Lolipop version. It houses 16GB of internal memory which can be further expanded up to 64GB with the help of Micro SD card slot. It accommodates 20MP of shooter incorporating Sony Sensors with f/2.2 aperture. Rear camera is capable of taking video of 4K quality at 30fps, 1080p quality at 60 fps and 720p quality at 120fps. One will get 8MP of front facing camera for clicking selfies and for video calling. It will support 4G connectivity and includes other features like WiFi, Bluetooth, NFC etc. best part of this handset is that it comes along with stock android which works just like a nexus device. With stock android one can update their OS whenever there is new android update which means one doesn’t have to wait for the updates anymore. Since this smart phone is new in the market and to hike the sales, this newbee is going to adopt a different promotion strategy. In their promotional campaign three rewards tier will be given. First backers will be able to buy the handset in just $280 while next 1000 backers can get the handset for $299 and the remaining backers can have it at the price of $345. Everything about this handset seems quite awesome but Indian customers have to wait for its announcement in India. Since it is a start up, it will take time for them to establish themselves as a brand and to start their venture in some other boundaries.